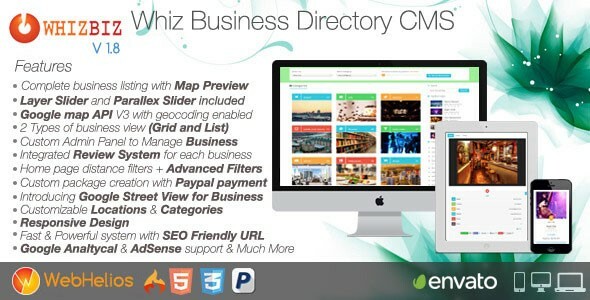 WhizBiz v1.8 - Business Directory CMS - CODELISTPRO | Free Premium Scripts, Plugins, Apps Source Code. The most advanced directory script helping users to maintain a blog/news/article section to present special offer to buyers. The blog/news/article section comes with the advanced sharing plugin on social networks. So no need of including third party blog sites.